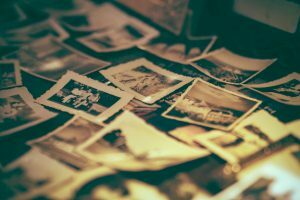 Are You Living Out Ancestor Trauma? An area of psychological research that I am currently fascinated with is intergenerational psychology. It includes the idea that responses to pain and suffering can be transmitted genetically. I call it Ancestor Trauma. We’ve all heard that our genes may be loaded guns for physical ailments like heart disease and cancer. And certainly many mental health illnesses, like schizophrenia, have a genetic link. But what about run-of-the mill anxiety and depression? Could the roots of our fears and wacky responses to stress lie with our ancestors? The answer, it appears, is yes. Most of the research to date has been done on worms, mice and rats, but one human study of holocaust survivors and their children shows some chilling results. A team at New York’s Mount Sinai hospital looked at the genes of thirty-two Jewish women and men who had been imprisoned in WWII concentration camps, were tortured, or lived in fear for years while hiding. Then they analyzed the genes of their children, adults in the United States who had never seen a war zone. The researchers found genetic changes in the gene that produces and monitors stress hormones — important because this influences how an individual reacts and copes with stress. While genetic transmission of trauma is one piece of intergenerational psychology, a family system’s emotional communication — or lack there of — closes the deal. This is the clever beauty of the nature verses nurture debate. There is no debate. It’s always both. Our environment works to suppress or enliven our genes. I believe this is especially so during the transmission of ancestor trauma. Often parents and grandparents dismiss or minimize the trauma they experienced while silently giving emotional cues to the next generation. “Be careful! The world is unsafe!” The trauma eventually gives birth as unexplained anxiety, depression, poor coping mechanisms for stress and big-time relationship problems. And too often, one child, the “sensitive child” is unknowingly nominated to carry the feelings of grief and loss experienced by previous generations. Explore your family history. Get the full story. Create a narrative for your feelings. Pay attention to your dreams. Keep a dream journal. Dreams are often the place where the pre-conscious material can be mined. Respect an identity crisis. Untangling a family’s emotional past might mean breaking codes of silence that may alienate you from family. A child speaks of the unspeakable when the parents and grandparents could not. There may be a period of separation and loss while you create a new self identity based on a healed narrative. Believe you are the chosen one for Ancestor Trauma. There is an honor in being the vessel for ancestor trauma. When we have been unconsciously asked to carry the pain of our ancestors into the future, whether that pain has been transmitted emotionally or through our DNA, we can gain strength by knowing we are the chosen one — the one who is strong and well enough to finish the emotional work of the past. By visiting any remnants of our ancestor’s trauma, we can break the chains and heal future generations. You are the chosen one. Go forward, knowing that your conscious mind will never allow what you can’t handle.